My husband and I like to joke that Charlottesville is the city of sandwiches. Of course they are the perfect quick lunch, but one of my favorite spots to grab a sandwich is Feast. 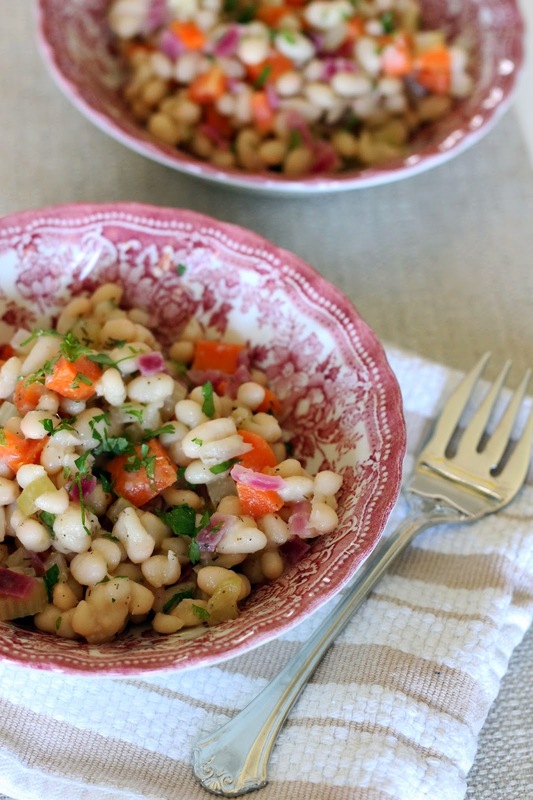 It is one of the first spots I take out-of-town guests because of their gourmet variety of local sandwiches, soups, and salads, but it is their white bean salad that really stands out. 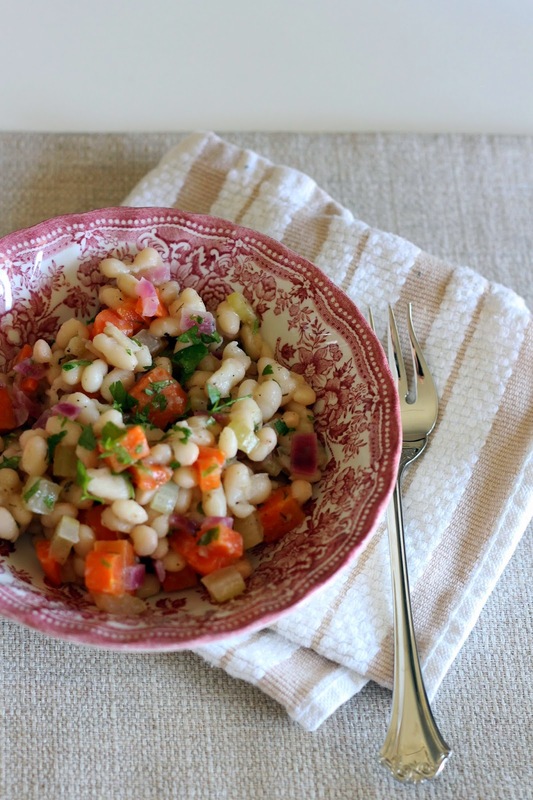 It is so simple and so good I knew I had to replicate it at home. 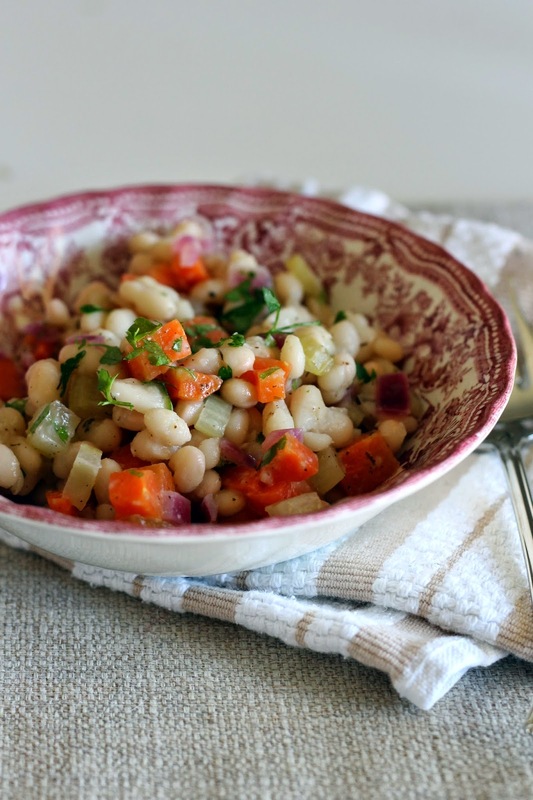 When I can't make it into Feast, this recipe really hits the spot this white bean salad with a quick pickled vegetables really hit the spot. 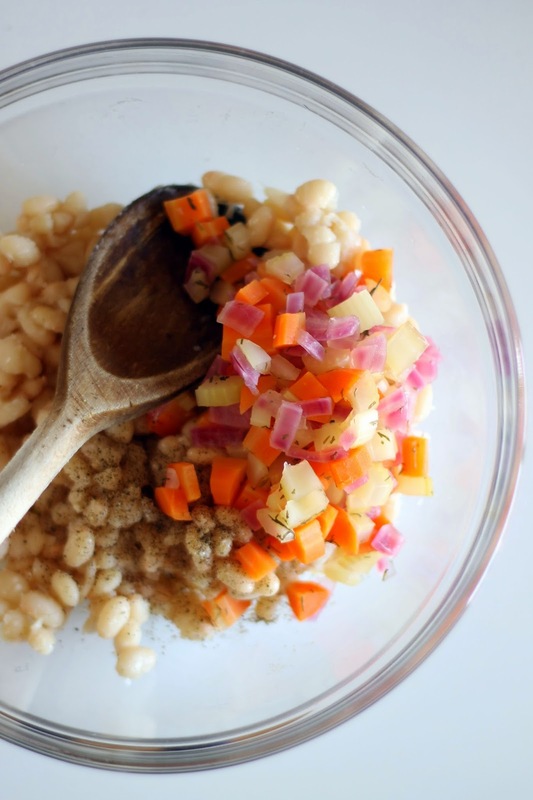 Add carrot, celery, and red onion, peppercorns, salt, dill, white vinegar, and water to a small saucepan. Bring to a boil, and then remove from heat and let steep with the lid on for 5 minutes until the vegetables have softened. 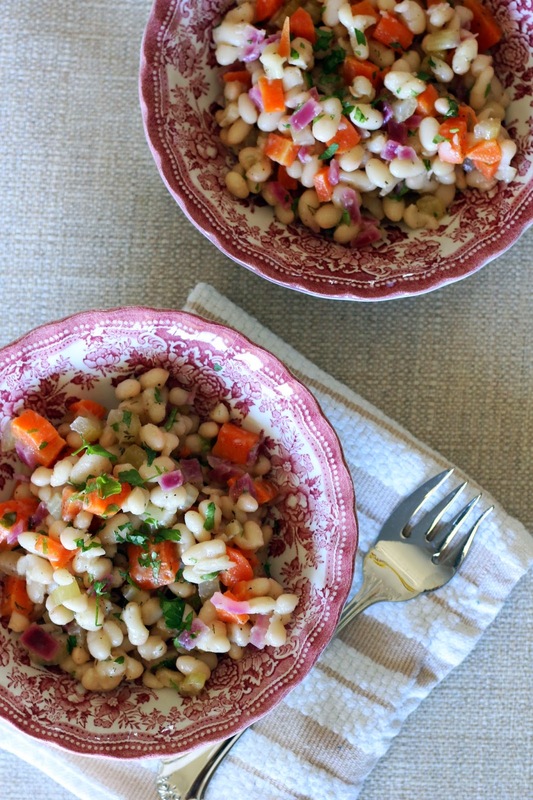 Drain pickled vegetables with navy beans. Gently stir in lemon juice, olive oil, and parsley. Serve at room temperature. Will keep in the fridge for up to a week. Feast! is for sure one of my favorite places to go! This looks really good! I will have to try it for sure.